I often like to dig into the history of the cars featured in these posts, and when I first heard about about the Montreal, the name threw me a little. It turns out that the Canadian city did little to inspire Alfa Romeo to label their creation with their name, instead, as many things in life, it was all about timing. The 1967 Montreal Expo was simply the place chosen to unveil Marcello Gandini's latest design - and at the time it was merely a concept car with no name. The design was a hit with the public, and in lieu of an official name people simply referred to it as the Montreal. 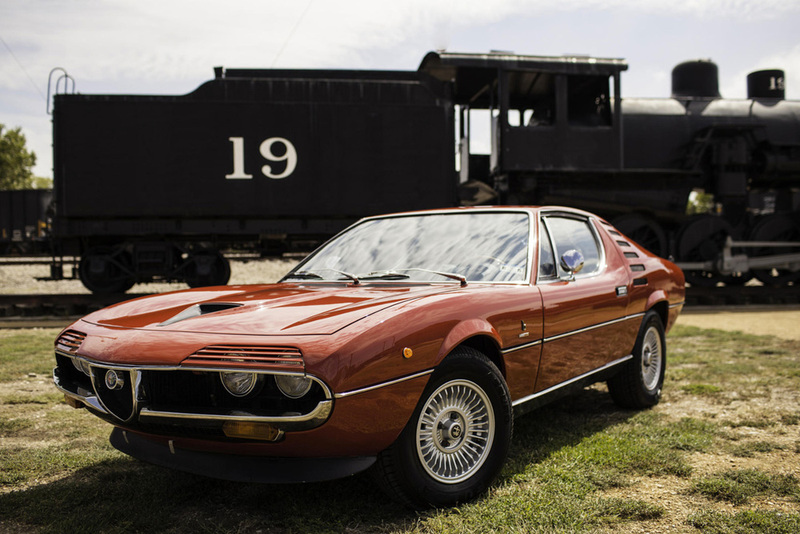 When the car first went into production in 1970, I have to assume that the following was so strong, and so much had been written about the Montreal, that the bosses at Alfa Romeo simply shrugged and said "I guess we'll have to stick with that then". Perhaps a sign that they almost begrudgingly accepted the name is that the only place that the word "Montreal" appears on the car is on the ashtray cover. All this mechanical asymmetry and unorthodoxy underhood adds up to one of the very sweetest sounds I've ever laid ears on. It fizzes while bawling. It gurgles and rumbles like any proper V-8, but it's up an octave higher, more of a blaring guitar riff than a solid bass line. As I push down harder with my right foot, the sound not only grows more fortissimo, but more frenzied, wilder, rawer, semi-cacophonous. If I owned a Montreal, I would, like Brown, let my ears do all the shifting. Even at idle, the lumpy, miniature V-8 is a treat for the senses. Not just the ears, as the aforementioned bumpily loping cams cause the Montreal's gauges to vibrate and dance. The proportions are all right to my eyes, and there are so many details to enjoy, from the retractable "eyelids" covering the quad headlights, to the dramatically perforated C-pillar, that it is nearing iconic status in my mind when I think of Alfa Romeos. 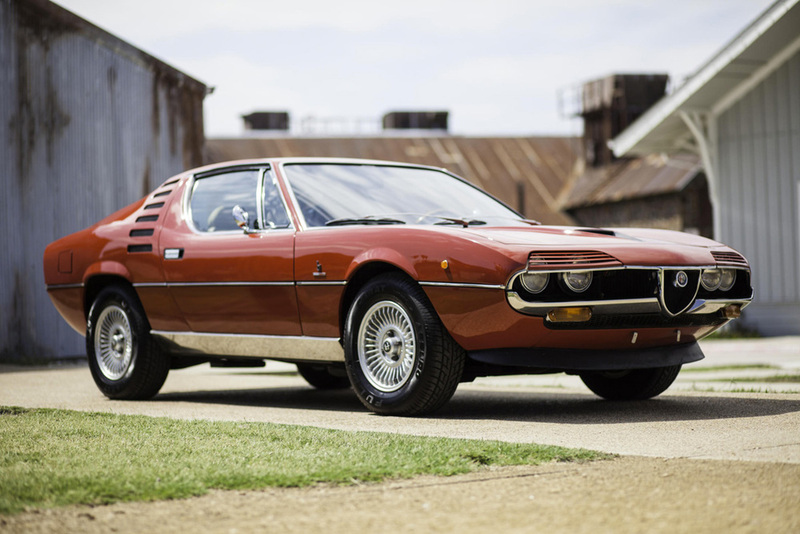 The classic car appreciation bubble we are experiencing at the moment has largely ignored this particular model from Alfa Romeo, with a few auction results lately showing signs that may be about to change. 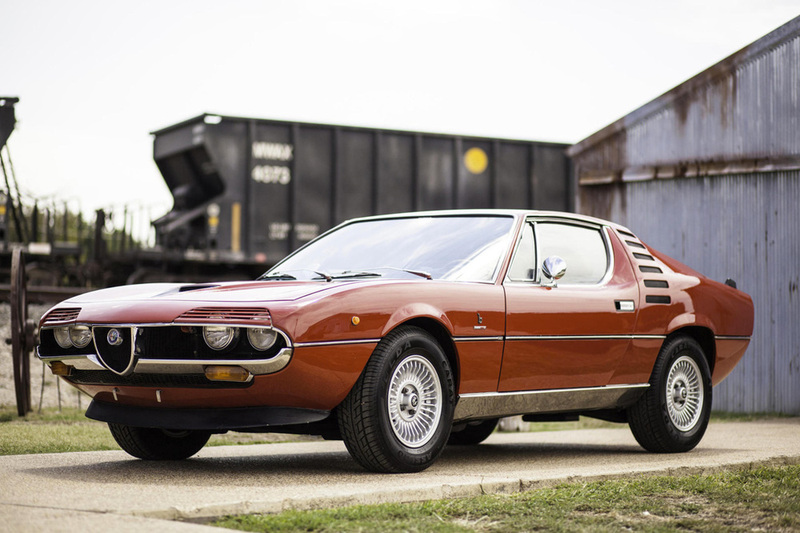 Given the famous Gandini styling that has aged remarkably well, its sonorous and exotic V8 engine, along with the low production numbers and the fact that it was handmade - I can't see that being the case for too much longer. Have a listen to the Montreal on the move in this video and if my words didn't convince you, perhaps the audio will.